I am so happy to be doing this post because this year I have so many amazing products that I have been truly loving. Last summer, my skin was quite a mess thanks to the sunscreens I was using but luckily, this year I have been using an excellent combination of products that have really helped keep my skin in check and I am so excited to share them with you, so keep reading to find out what products made the cut and why. First up, the most important part of your routine: the cleanse and tone stage. What you do here really affects how your skin will behave thoroughout the day so it is crucial to get this bit right. 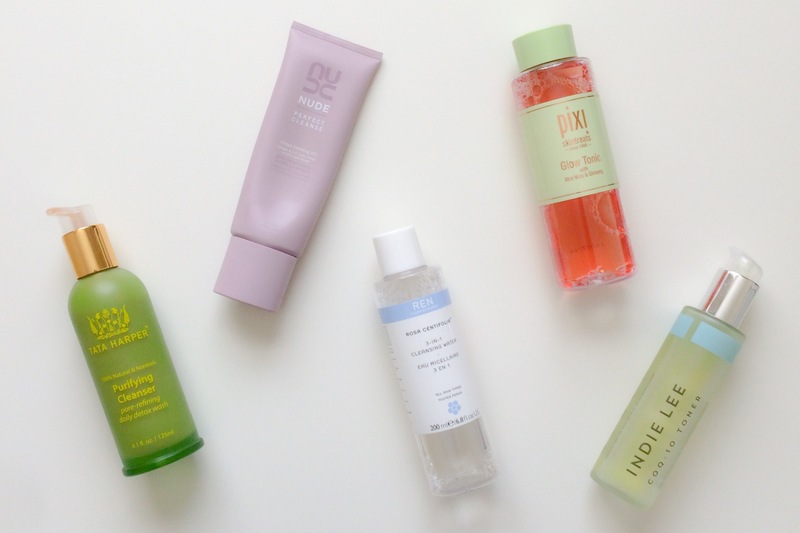 It might seem like the obvious choice to go for super purifying cleansers and toners in the summer but I don’t think that works at all. I find that when I use products like this my skin becomes dry and dehydrated and as a result I am even more oilier than usual. What you need to do here is clarify while creating balance and these cleaners and toners are the ones I have been reaching for the most to help me do exactly that. This cleanser was an instant favourite when it launched and for good reason. Just from seeing the ingredients I knew I would love it and I was not wrong. This product is the perfect balance between purifying and hydrating and I use it both in the morning and in the evening, as my second cleanse. It has kept my skin clear, balanced and hydrated and is currently my favourite and most used cleanser. If you’re anything like me, the idea of using heaving balms and oils to wash your face is just massively off-putting during the summer. Even so, during these months it is so important you thoroughly cleanse your face and that’s where this incredible cleanser comes in. It’s a wonderfully light balm/gel/oil hybrid that turns into a milk during the rinse off phase and I just love it. If you find balms/oils too heavy right now but find gels too drying, this is the product for you. It is a lovely first cleanse that easily removes makeup, sunscreen and the day’s sweat and grime but leaves your skin soft and hydrated. I have been using this in the evenings almost every day and it has been such a lifesaver. I have been loving this in the morning as a quick skin refresh or in the evenings when I’ve been wearing makeup as a first of three cleansers. It is incredibly hydrating and soothing and is really more than just a micellar water because the ingredients in it are so good for the skin. It is definitely my favourite cleanser from the Rosa Centifola range. I have been absolutely loving this toner over the summer. It is so refreshing, smells lovely and thanks to the aloe vera and hyaluronic acid, is very hydrating. It is such a great product to remove excess oil, calm and soothe, all without stripping the skin. This works so well under my serums and has allowed me to skip moisturizer, which has been so helpful because when it’s hot like this, the less product layers I have on my face the better. If you want to keep your skin looking bright, clear and even during the summer, this product is a must have. I use this in the evenings to really detox the skin and prevent congestion. At 5% glycolic acid I find this sufficiently effective without being too harsh and because it’s alcohol free, my skin doesn’t feel stripped. This is such an important product to use over the summer to help prevent any skin damage, like discolouration, wrinkles and inflammation, that may develop as a result of prolonged sun exposure . 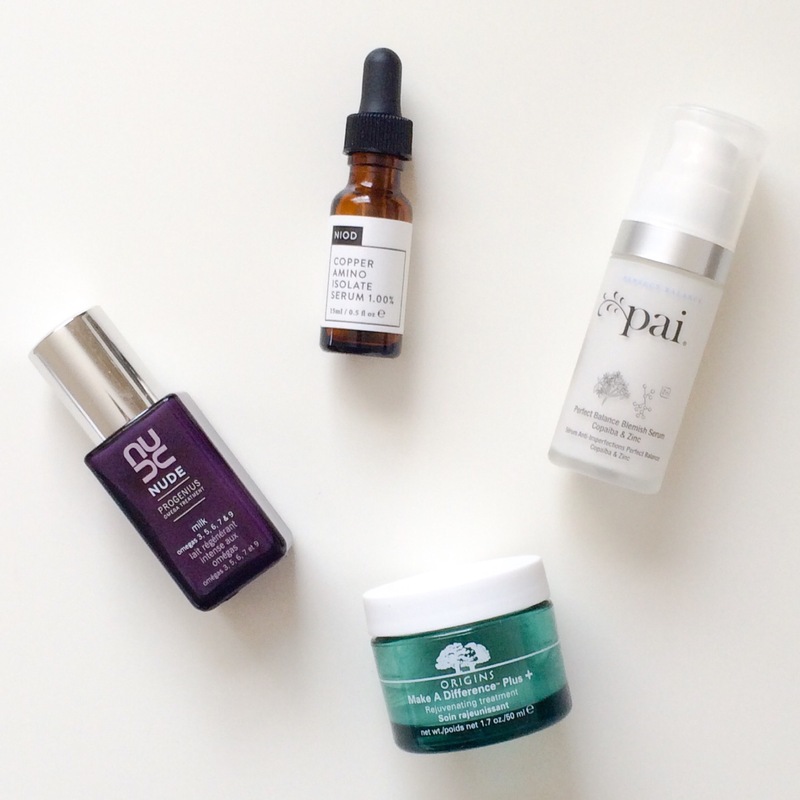 Serums have been such an essential step in keeping my skin balanced over the summer. 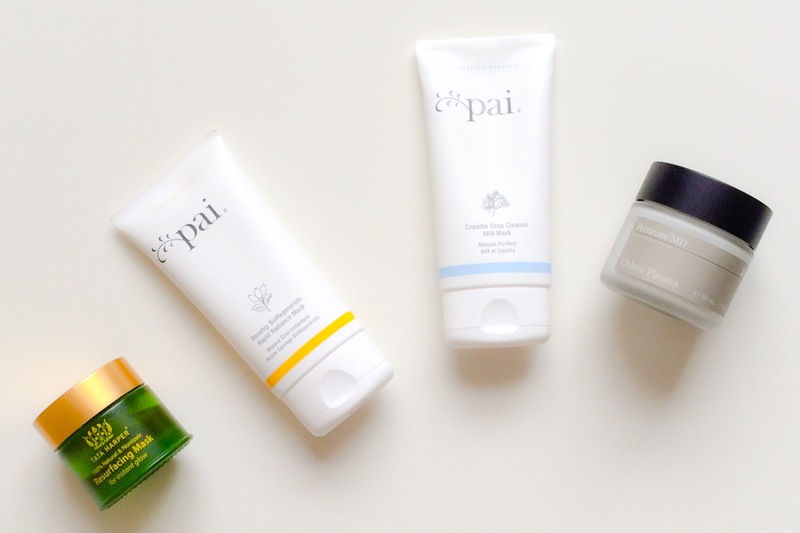 As I said before, I have been skipping moisturizer and instead using a mix of these four products. They all provide something different that has been working really well for me. This product is the closest to being a moisturizer out of the bunch but it is so much lighter. I have been loving this on the days when my skin feels quite parched or irritated and it has worked wonders to restore hydration and calm and soothe my skin. It is great at dealing with redness and inflammation and if you find moisturizers too rich right now, give this a go because it is just as nourishing as one without being heavy. This serum is such a standout product and has been so helpful on days when despite my best efforts, my skin is congested and irritated. It’s anti-bacterial, anti-infammatory and reduces sebum but still manages to be gentle enough for sensitive skin. I use this all over when needed or as a gentle spot treatment that I can reapply several times without causing any flakiness or redness. I have so much to say about this product that a full blog post is coming later on this week. 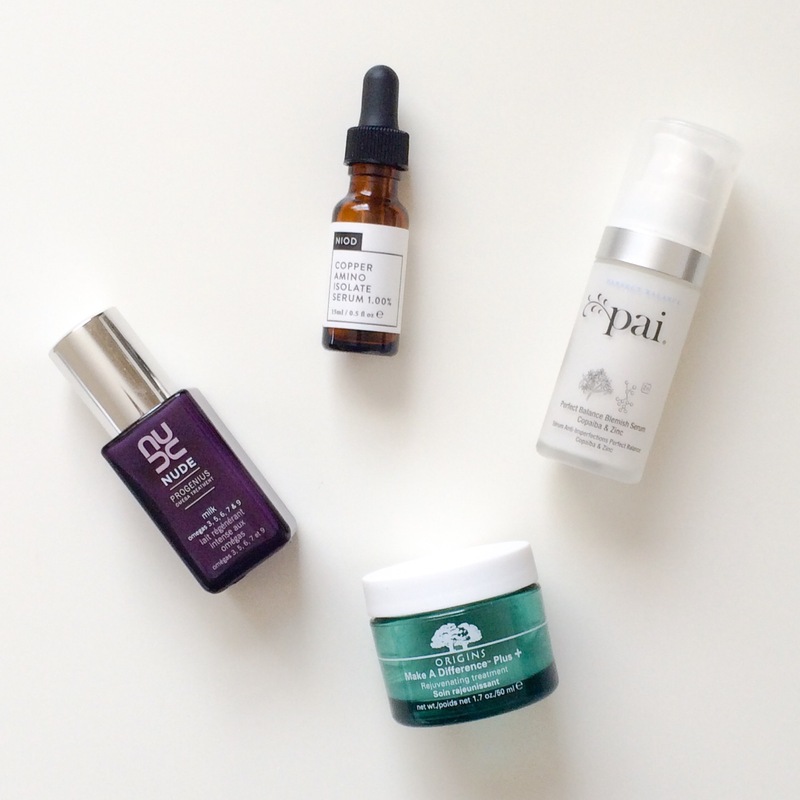 It has been one of my most favourite discoveries and I love what it has done for my skin. I use it practically every day (sometimes even twice a day) and it has been so good at preventing any sun related discolouration that usually, around this time, would have already started to show. I cannot wait to share my full review on this with you. This gel cream is so light and refreshing and has been a lovely alternative to moisturizers. It feels very cooling and has kept my skin hydrated without clogging my pores. I love using it in the mornings because the scent and the texture are so fresh and it’s such a lovely product to apply on hot days. I am a big fan of the whole Make A Difference Plus+ range and would definitely recommend this for those with oily/combination skin. Masks are so important during the summer. They are a quick and easy way to correct any issues and restore balance. I have been using these ones the most because the difference to my skin is consistently noticeable and they haven’t caused me any irritation. Probably one of her most famous products, this mask has been excellent at boosting cell turnover to remove dead skin cells, refine the pores and decongest the skin. I love this because after I use it my skin is so bright and smooth and my pores look a lot less visible. It can be used as a mask or spot treatment and sometimes I even wear it overnight when I really want my skin to glow. I love these two individually but together they are something special. The Radiance mask is perfect for when my skin is dry, dull and needing a hydration boost and the AHA mask is so good at clarifying and purifying the skin without leaving it tight or dry (it can also be used as a spot treatment). When I use them together I apply the AHA mask first and then follow with the Radiance mask for the perfect combination of clear, bright, calm, hydrated skin. This mask is so fun to use (it contains microcapsules of chlorophyll that burst as you apply it) and is so cooling and refreshing on the skin. I use this when I need a deep down purge but I don’t want to use anything too harsh. It’s one of the few clay masks that doesn’t leave my face feeling crazy dry and I love how it also brightens and softens the skin. 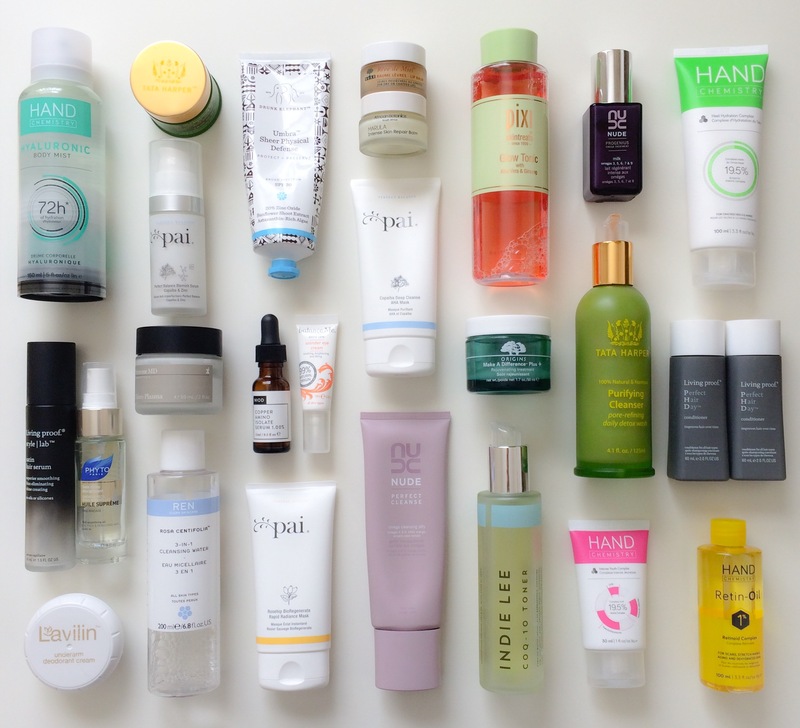 Well, that’s it for my summer skincare favourites but please check out Part 2 for the rest of the products I have been loving these past few months. I look forward to your full review of NIOD.